There are many things that have largely influenced and interested me from the archives, but the main thing I took away with me was the initial presence of the 'voice' the BCU Art and Design Archive has. 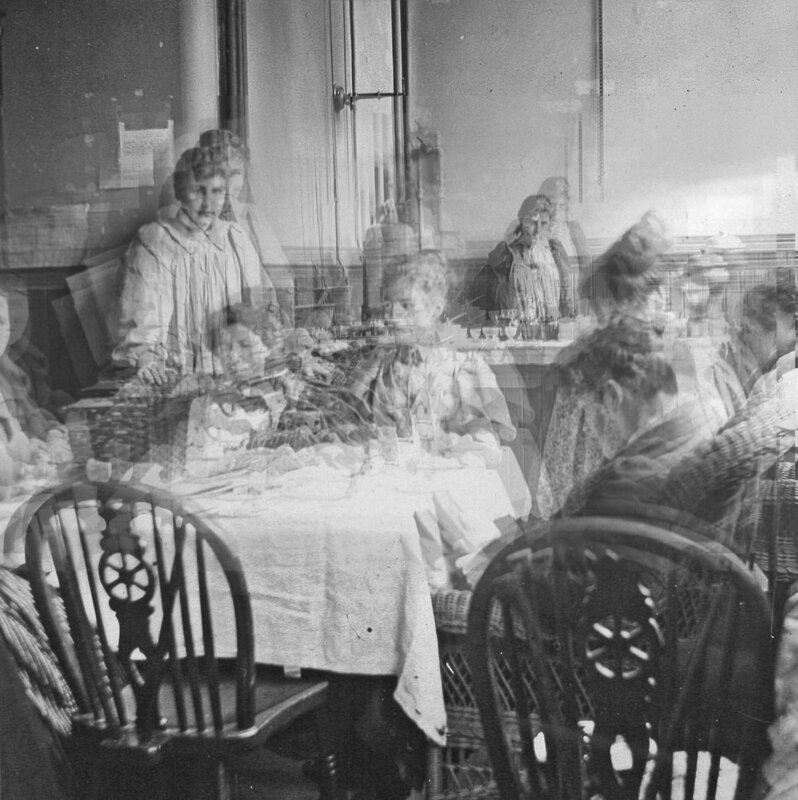 From my first visit, we were introduced to oddities, objects, and paintings that spoke of a past which would have been otherwise forgotten if it weren't for this small but valued room used to celebrate Margaret Street's earlier life. Margaret Street's School of Art has become home to all of us students currently residing within its grand but aged walls: there is a certain sense of community which I wanted to research, to become acquainted with the faces of past students and teachers who also once called Margaret Street home. Within my own practice, there has always been an element of time present, which is why I was drawn to the old photographs and lantern slides of original features of the building, classes, and students existing in the same setting that I currently work and practise in as an artist. Mainly, I wanted to explore the ghost of Margaret Street's School of Art, and how it is still present in the building, and essentially the ghosts of people who have passed through its walls. 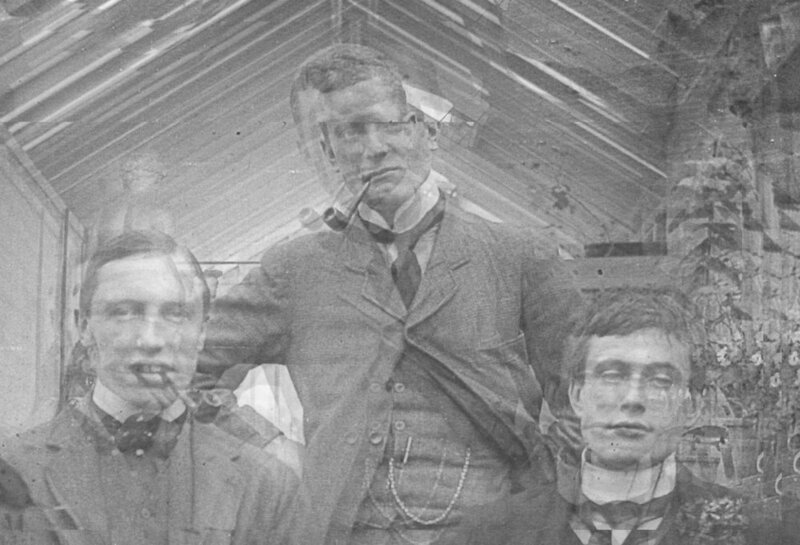 By distorting digital images copied from the lantern slides, I was able to highlight the faces of Margaret Street's past, whilst overlapping multiple layers that allow us to question the true identities, demonstrating how these important people are often forgotten. Benjamin Fletcher, a previous headmaster of the School, published a document entitled ‘An address on the scope and work of a School of Art’ in 1917 which I found really interesting. The main reason for this is that it gave me an insight into how art education has changed in some aspects, and how it has remained the same in others. Its text reiterated the community of artists and how that sense of community lives on through the ages, how we are taught and learn from each other in ways that allows us to make great art. I was greatly inspired by his words and wanted to highlight how, by choosing to work in this building, we accept that others have come before us and we accept their legacies as artists and people. After studying this document, it became more apparent to me that many of the things Fletcher was attempting to express are similar to the things we try to express as artists today. 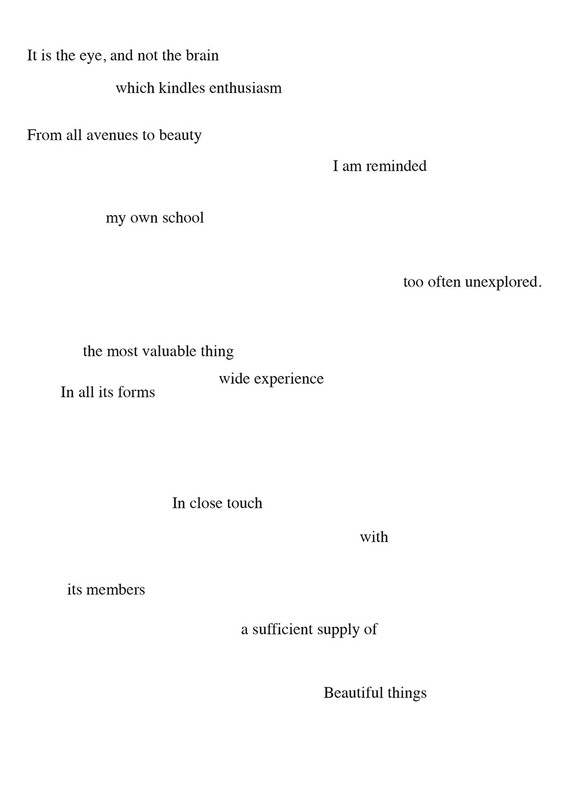 I therefore selected words and phrases from the text and manipulated them into fragmented speech, using Fletcher’s work to inform my own, thereby creating new from the old. You can read each of the three sections of the triptych I created in the slide show below. The archive has been a valuable source of inspiration for me, and has enabled me to develop my practice in ways I hadn't been able to before. I am thankful that I had the opportunity to access such interesting material, and I hope that it will continue to inform my further research and practice as an artist.